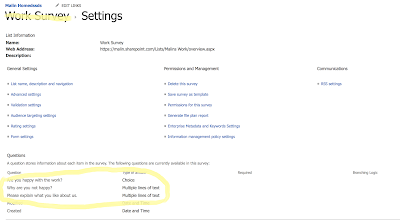 Surveys in SharePoint has helped us a lot for the businesses. 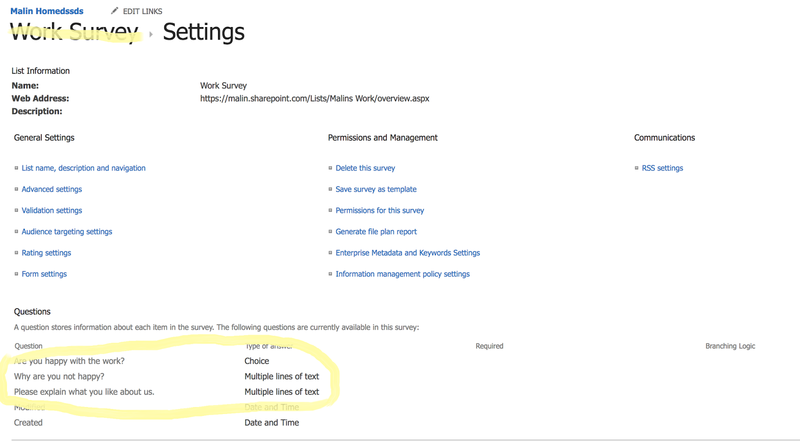 You can easily setup a survey and record the input data in a SharePoint list. Branching logic makes it much easier for surveys to have the IF-ELSE conditions within the surveys. 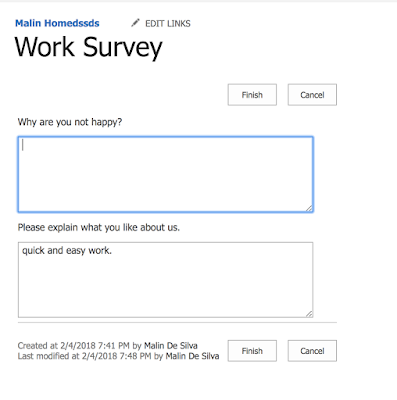 I have setup a sample survey that is intended to collect feedback from participants of a work survey. As the image shows, I have a question that asks whether the user is happy about the service or not. I will only need to get the negativity feedback only if the attendee is not happy. Likewise, I only need positive feedback if attendee is happy. 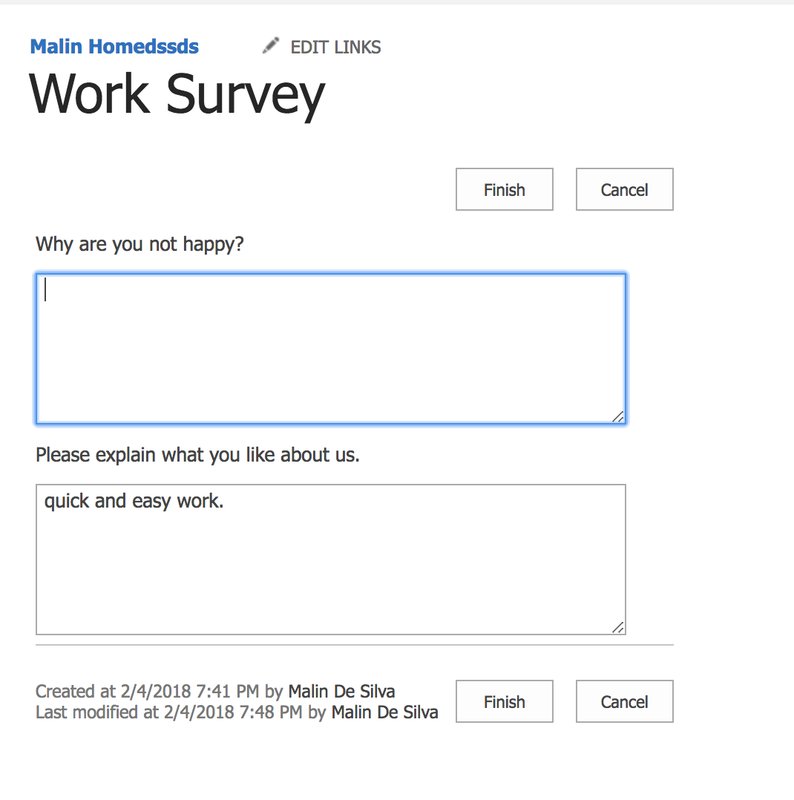 After laying out the questions, I am going to the question settings page of the first question: Are you happy with the work? Down below, under the question settings page, there is an option for the Branching Logic. As I have two choices named Yes or No, each option can be set with a question. Once those are selected, I am going to click 'Ok' to save the changes. Now lets try responding to this survey. As it is shown in the image, Once I select Yes, it is going to get me the positive feedback question. This will show the other question as empty when if I go to view the item. One thing I noticed with this branching mode is if I go to edit the item and select the option as No after initially selecting Yes, it kind of messes things up. Editing an item after selecting No, where the initial response was Yes. It is better to keep this in mind as SharePoint is not for an advanced survey management. One thing you can may be simply do is restricting the edit permissions and ask the users to refill the survey. Then use an event receiver or a workflow in behind to delete the old response if necessary.